FamousPhotographers.net provides a list of world’s most famous photographers and an insight on their personal and professional life. Each photographer’s life story is a book with interesting chapters. The website gives a detailed account of their biographies, photographic styles, examples of their work, and lists of their exhibitions. It is important to know that a great photographer is one who captures all that is commonly unnoticed. He/she works with a different ‘eye’ altogether. The lens of a camera explores a world of various perspectives. Some treat photography as an art, they feel it has the power to manipulate realities and present them in an attractive way. Others feel that art and photography are miles apart, since a photograph reflects exactly what’s in front of the camera. There have been and there still are several famous photographers around the world striving to show their audiences the way in which they perceive their surroundings and subjects. They do photography for diverse industries, such as fashion, commercial, art, music, journalism; and for the various social institutions, like politics, religion, and more. Photographers also invest their talent in charity organizations; or just photograph after curiosity and interest. They also work on architecture, landscapes, cityscapes, wild life, and many more topics. Some photographers are self-learners while others have degrees, but all have their own unique styles that make them one of a kind. There are ones who receive only positive response from their audience, however there are those photographers as well who dare to produce work that can be a topic of controversy or hatred. All in all, whatever it may be good or bad publicity – at least their work hits the media, is displayed in galleries and provokes the viewers to think in a certain manner. 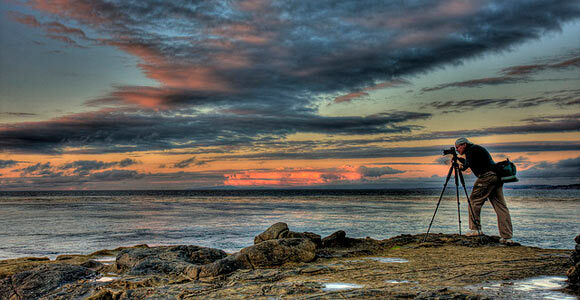 For some, photography is their ultimate passion and for some it is a means to earn a living and fame in this world. There are those who dwell in jewels yet practice photography based on their interests, and there are also those who have seen hardships hence photography not only becomes an escape door but a means to express themselves. Photographers use their technical tools and create the intended result. The contemporary world of photography relies heavily on digital imaging and techniques to enhance and sometimes exaggerate and transform photos. However, there are still some photographers who use the conventional means of photography without any manipulation using computer softwares. Each photographer has his/her own style of delivering their work. Some treasure their photographs in a back lit frame and other make huge installments. Something that most photographers do is to make photo-books chronicling their work from a single series or portray their life’s work. Photo-books give photographers the chance to not only showcase their skills of photography but also to write notes explaining or supporting the images. Authors also provide good piece of introduction for the book. Overall, it is not only enlightening to see what photographers around the world have done or are doing, it is also interesting to learn about their life and experiences.